Nelsons Dockyard in Antigua and Barbuda, has been voted Best Attraction in the Caribbean. Nelson’s Dockyard, the only continuously working Georgian naval dockyard in the world, topped the category in the annual 10Best Readers’ Choice Award, as voted by USA TODAY readers. Declared a UNESCO World Heritage Site in 2016, Nelson’s Dockyard, which was nominated by a panel of Caribbean travel experts, is still used today as a working dockyard for numerous yachts and ships. Fully restored to its original splendor, the eighteenth- and nineteenth-century buildings of the Dockyard house modern amenities such as shops, hotels, and marina businesses. Outside the dockyard, historic forts dot the landscape of the park accessible by hiking trails which allow visitors to enjoy the park’s scenic and natural beauty. Antigua and Barbuda’s Minister of Tourism & Investment, Hon. Charles ‘Max’ Fernandez has high praises for the park’s staff. “We have a remarkable team at the Nelson’s Dockyard and other National Parks, that bring our intriguing heritage and rich cultural traditions alive. We hope that visitors to the island will experience this award-winning attraction and tour with our friendly guides other fascinating sites. Also, the recently restored Clarence House, built for King William IV and visited by members of the royal family, inclusive of Princess Margaret and Prince Harry in recent years; alongside Dow’s Hill Interpretation Centre, Shirley’s Heights, and Betty’s Hope,” notes Hernandez. 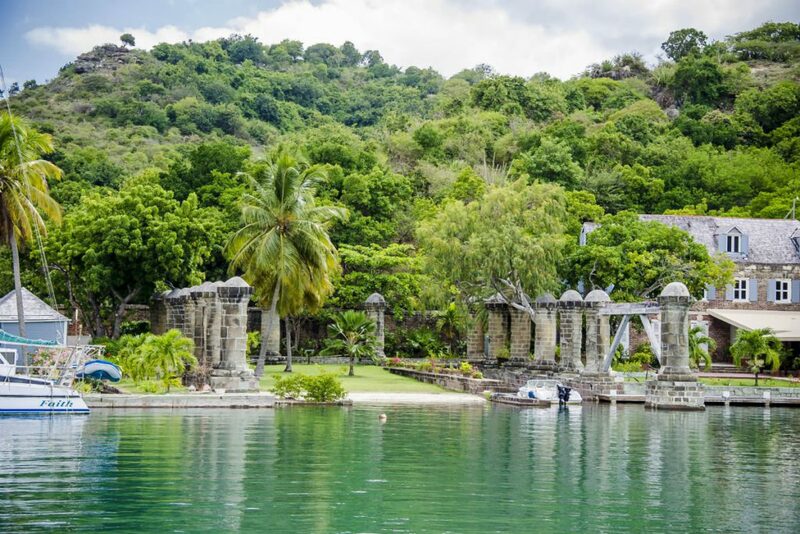 Antigua enjoyed some other top ten finishes: Among them, Catherine’s Café, third in the Best Beach Bar; and Curtain Bluff, sixth in the category Best Resort. Antigua was also voted 6th in Best Island for Romance category while Dickenson Bay and Deep Bay, were seventh and eighth respectively in the Best Beach category.